Nanoclean Global Pvt. Ltd, a nanotechnology startup which develops air filtration devices, has raised $600,000 (Rs 4.2 crore at current exchange rates) in a pre-Series A round of funding. Nanoclean co-founder and chief executive Prateek Sharma told TechCircle that dealmaking platform LetsVenture, PitchRight Venture, 91SpringBoard, AL Nour International Holdings and Mark V Investments were among the investors that participated in the round. Sharma said that Nanoclean, which was incubated at Indian Institute of Technology-Delhi, will use the money to expand its business-to-consumer (B2C) offline business. Nanoclean was founded in 2017 by Sharma and fellow IIT students Tushar Vyas and Jatin Kewlani. Nanoclean claims its nanotechnology-based filtering material is capable of stopping particulate matter, which refers to the microscopic solid particles and liquid droplets floating in the atmosphere. Fine (PM2.5) and coarse (PM10) particles are considered to be the most hazardous pollutants. The company claims that its nano-fibre technology can achieve more than 90% efficiency in combating PM2.5 and 95% against PM10. Nanoclean’s proprietary nano-fibre technology has been developed by IIT-Delhi professors Ashwini Agrawal and Manjeet Jassal along with the founders. Agrawal and Jassal are promoters at the company. 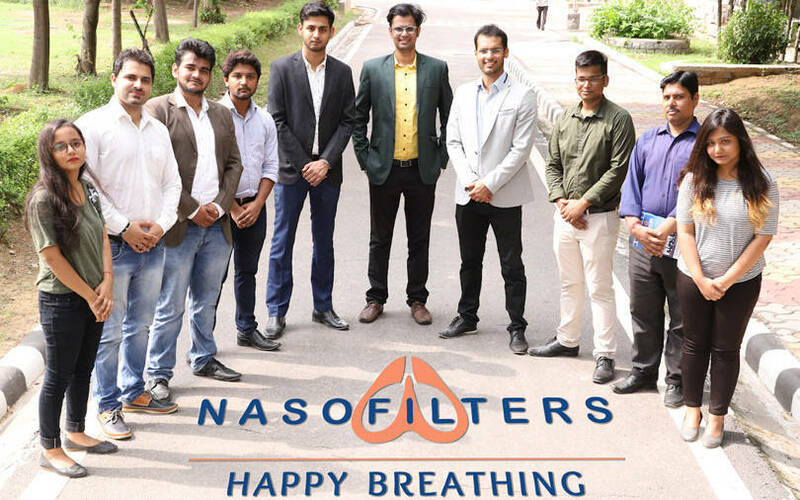 Nanoclean’s flagship product ‘Nasofilters’ is a respiratory nasal filter that sticks to the nose and prevents the entry of harmful air pollutants. ‘Nasofilters Pollution Net’ is its second product which helps reduce indoor air pollution in homes and other buildings. The outer layer of the net is a hydrophobic mesh, which repels water and makes it water-resistant. The startup aims to build and expand its expertise into manufacturing regenerative medicines, molecule filtration, performance textile, drug delivery methods and other specialised medical products. Nanoclean had previously raised an undisclosed amount in angel funding from angel investor and IIT-Delhi alumnus Sanjeev Jain in October 2017. The firm currently retails its products online through its website and on Amazon, while its offerings are available offline via a network of distributors including Apollo Pharmacy. The company has also partnered with distributors in Thailand and claims to be receiving significant demand from the region. On the business-to-business (B2B) front, Nanoclean works with corporate gifting companies in the pharma industry for bulk sales. Besides, the company plans to partner with builders, architects and interior decorators for installing the pollution net. A number of companies have cropped up in the recent past that seek to address the issue of worsening air pollution in India. A report last year by the World Health Organization said that India was home to nine of the world's 10 most polluted cities, including the national capital New Delhi, based on the amount of the PM2.5 particles in the air. Last May, Bonphul Air Products Pvt. Ltd, which makes an oxygen optimiser called OxyMax, received Rs 2 crore (around $293,000) in angel funding. Before that, SAR Group, the founding promoters of brand Luminous and owner of Livpure water purifiers, invested in Chennai-based clean-tech startup Air OK Technologies. The company is developing air purifiers.